As the saying goes, it’s all about the journey, not the destination. But in this case, we’re arguing the contrary. And once you hear about the Destination All Terrain Tires from Firestone, you’ll understand why. Expert handling, superior grip, and an unbeatable price are just a few of this tires’ amazing features. With the Firestone Destination A/T, you’re not forced to pick just one performance attribute because these tires don’t compromise one feature over another. These are hands down Firestone’s most balanced and complete solution for on and off-road driving. What specifically makes this inexpensive all terrain tire best in class? First off, the inexpensive price is really attractive for the quality you’re getting. Hundreds of 5-star ratings place this tire at the top of the All-Terrain bracket, far above its competition in more than one category. 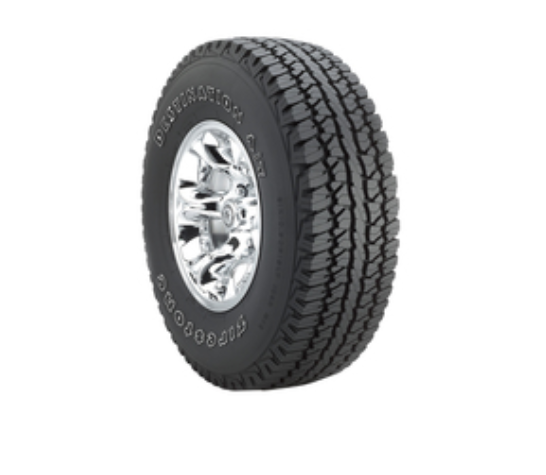 Firestone’s Computer Optimized Component System maximizes this tire’s performance through applied technology, which optimizes tread design, casing shape, materials, and construction. Sound fancy? Well – believe it or not – that’s only the beginning. The tread is made up of Long Link Carbon, which ensures year-round traction and an extra long tread life. It also allows you to travel off-road easily while maintaining handling through any weather condition. Additionally, 5-degree noise reduction technology helps to minimize overall noise generation while driving. What makes the tread on the Firestone Destination so effective? Great highway stability is due mostly in part to the over-the-shoulder tread block design, which gives this tire a rugged, durable look. The sipes and notches throughout the massive tread block pattern add to its gripping capabilities. Additionally, extra hard rubber defies chipping and tears caused by abrasive materials. The Destination A/T is built on a steel cord belt structure with a polyester cord body that delivers high tensile strength. The overall design is ideal for pickup truck, jeep and SUV drivers who need a high-performance tire which not only resists wear but also lasts on and off the road in all terrains. Whether you’re headed for the highway or headed off the grid, keep your destination on your mind – and on your ride. With a 50K mileage warranty at an unbeatable price, Firestone’s Destination A/T tires are the natural choice for avid adventurers, off-roading enthusiasts, and highway drivers alike. What’s your idea of the ideal summer getaway? 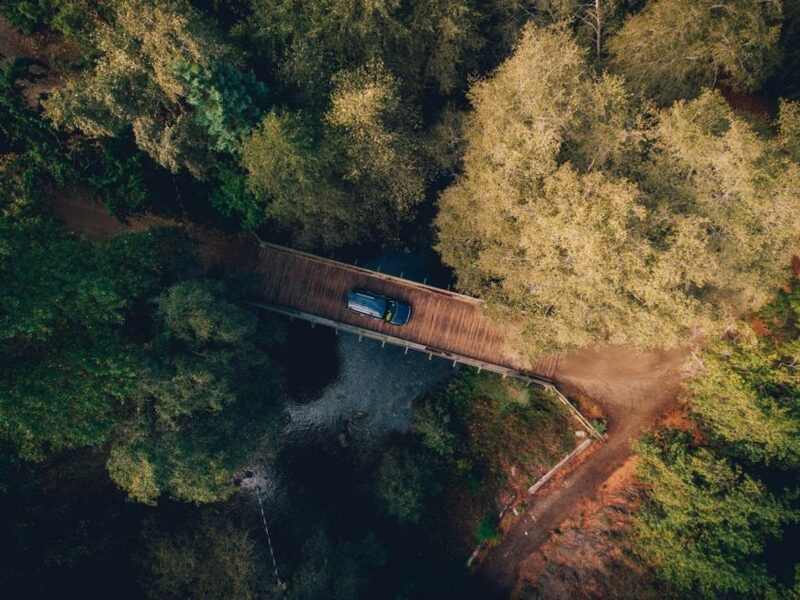 If inexpensive all-terrain traction, long mileage, quiet ride and good on-road handling are on your list of must-haves, you’ve officially reached your final Destination.